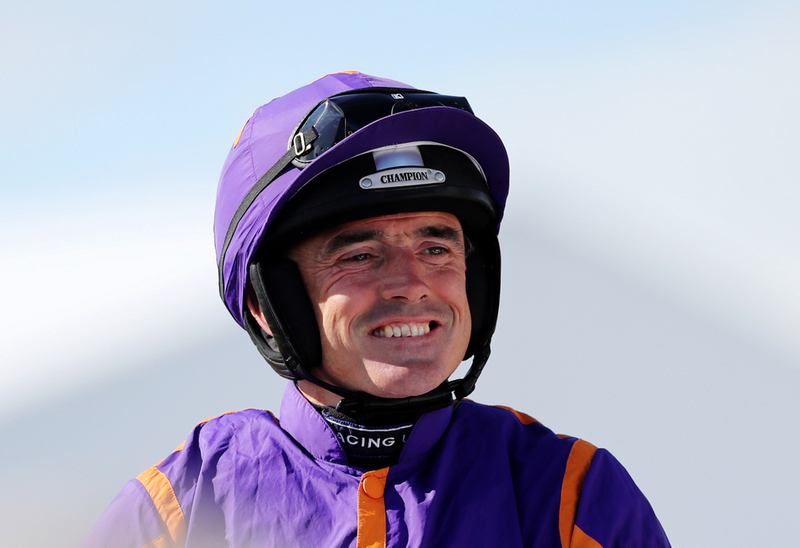 Popular Jockey Ruby Walsh was unseated at the last fence while riding the favourite in consecutive races at Naas on Saturday. Walsh came off 4-9 favourite Footpad, in the Poplar Square Chase, a race where Saint Calvados - who Footpad beat easily in the Arkle at Cheltenham, made all to win for Harry Whittington. He then was in the saddle aboard 13-8 favourite Saldier - sporting the Rich Ricci colours, and also trained by Willie Mullins, when again coming down at the last obstacle in the Fishery Lane Hurdle. Falling aboard Minella Beau and Robin Des Foret last week, Walsh's reliability is once again being called into question. Footpad - owned by Simon Munir and Isaac Souede, was found to have suffered an over-reach, but is expected to be back in action as soon as possible. Sent off a short price to preserve his unbeaten record over fences, he made a bad mistake at the third fence and generally lacked overall fluency. The writing was on the wall for him and look held when falling at the last unseating the two-time Grand National winning jockey. After the race, his trainer Willie Mullins said: "Footpad has an overreach in front. "He might have got it when he made that bad mistake early on. He's quite sore and to me that's enough to stop a fluent jumper from jumping. "He was very sore when he jogged in the stable yard after cooling down, and hopefully it's just an over-reach." Mullins believes the setback suffered by Footpad might cost the star chaser around a "week or 10 days" - but should "not interfere" with his next start. Saldier on-the-other-hand, was only making his fifth start over timber, so was not as experienced as stable companion Footpad. However, he was deemed good enough to land a Grade 1 at the Punchestown Festival back in April, having finished fifth in the JCB Triumph Hurdle at Cheltenham, so much was to expect from this 4yo. He - like Footpad, fell at the last flight, meaning unfortunately, the comparisons continue to be drawn between Ruby Walsh and falling at the last. Saldier looked to have the Grade 3 race wrapped up heading into the closing stages, before unshipping Walsh, allowing the Gavin Cromwell-trained Espoir D'Allen to stride on and win. Mullins said: "Saldier looks like he has broken a bone in his nose. That's going to take a little bit more time, I think. "He's going for a scan and we'll know more about it then and what we'll have to do to fix it. Hopefully we can fix him as he stands, rather than having to operate. "They are racing injuries, rather than injuries that are going to keep them out for the whole season. It's disappointing and hopefully that'll be it for a while."